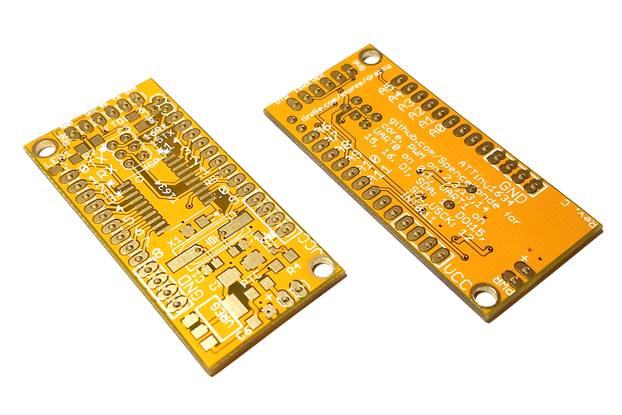 Get more IOs for your microcontroller with this small, cheap and hacker-friendly board! 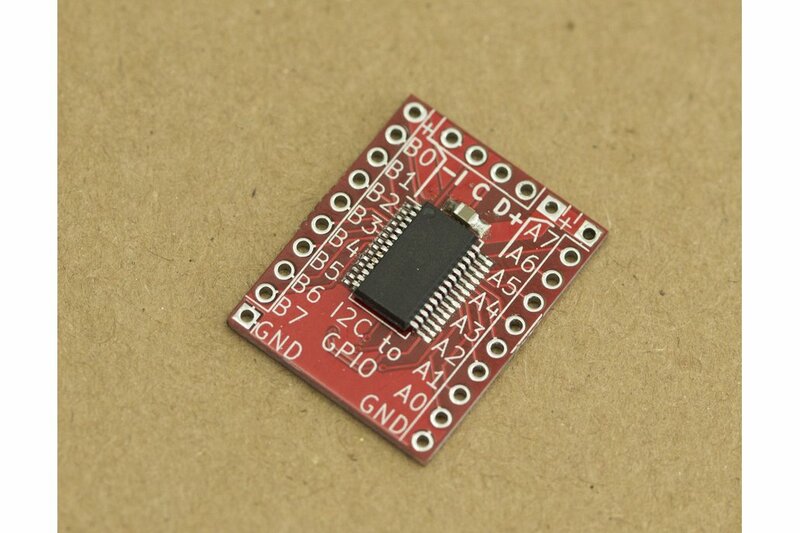 This is a MCP23017-based hacker-friendly GPIO expander board. I've designed it because I routinely don't have enough IOs in my ESP8266 and Raspberry Pi creations, and I've used my prototyping experience so that the board is convenient for everybody! Exposes power and ground pins on the breadboard - less wires! 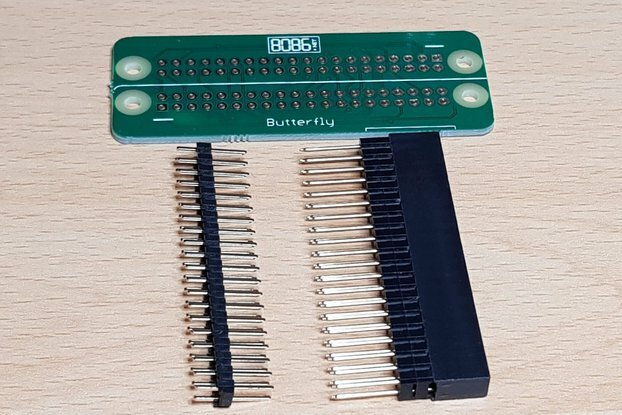 If you want me to solder the pins before shipping, it will cost 1.5$ extra, since it's more expensive to ship boards with headers soldered on. The I2C pins (angled) will be installed by default, however. RST pin is not exposed - as it's hardly ever needed, it's instead hardwired to VCC. You need to install SDA and SCL pullups on your discretion - Raspberry Pi doesn't need them (and may glitch if you do install them), but Arduino or ESP8266 do. INT pullups are already installed, since you will need them regardless. Message me if you want SDA and SCL pullups installed by default. INTA and INTB are connected by a solder jumper by default, as that's what most people will want. You can remove the solder jumper, then INTB will be connected to INT on the pin header and you'll be able to connect INTA to anything you want. MCP23017 expanders are very popular, and there's even a Linux driver for MCP23017! 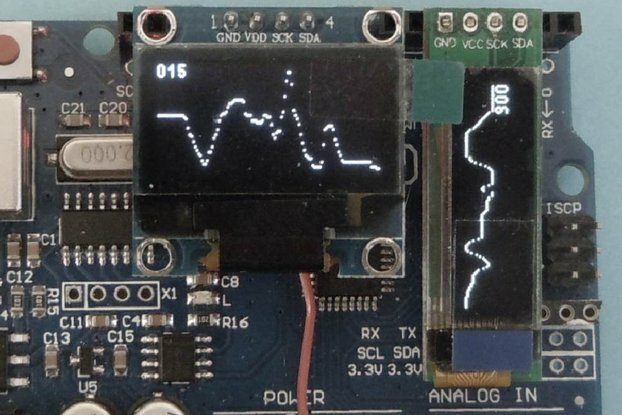 For Arduino code, you might want to use Adafruit's MCP23017 library. For Raspberry Pi, you can use the Linux driver (enabled by a single config.txt line) . If you're using other programming language or need any other instructions, let me know, I'll write some example code for you and add it here.